Nylabone teething toys are safe, fun, sturdy and even tasty! Nylabone has been creating hugely popular, award-winning toys for dogs for over half a century.... and today they have one of the widest selection of quality chew toys on the market. They're constantly adding new and innovative products for your pet to enjoy, and unless you've never ventured into the world of dog toys before, Durachew, Puppychew, Flexichew, Rhinochew and NutriDent are all names you will probably recognize. 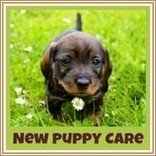 There's nothing more important than keeping your new puppy safe and healthy, and keeping him happy comes a very close second! When your little guy is teething, those hot, sore little gums can make him cranky and uncomfortable. Teething toys give you a way to help soothe his gums, keep him occupied, and discourage the kind of unwanted chewing (ie sharpening his teeth on your furniture, shoes, woodwork etc.) that a teething puppy is so eager to take part in! AND, you don't have to worry about his safety with Nylabone chew toys, because they're made from top quality materials, carefully constructed to stand up to whatever your pup can dish out, and don't have any loose parts, sharp edges, weak seams or questionable features. Plus there's a consumer satisfaction guarantee on every single package. You don't have to have a pup who's under 6 months old to enjoy many of them either. 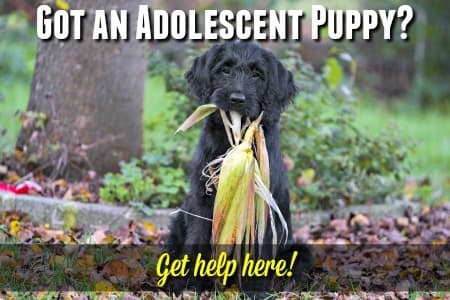 The rubber, nylon and thermoplastic polymer toys are all great choices for adolescent pups or older dogs too. This page features a selection of what I think are the very best choices for a puppy who's teething. 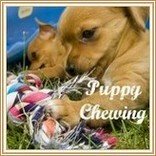 These satisfy your teething pup's urgent need to chew, and keep him busy and happy. Available in a variety of different materials and with varied textures, they soothe sore gums and encourage him to chomp down on his own belongings instead of yours! The Nylabone Rhino collection is designed especially for those 'power chewers'. 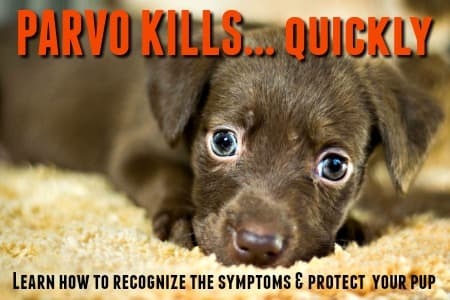 This includes Large, X-Large or Giant breed puppies, and breeds that are known for their desire to chew, such as Retrievers, Gun Dogs, Sheepdogs etc. Made from high quality natural rubber, these super-tough toys are tear and puncture resistant. Another Nylabone range that's meant for pups who are heavy-duty chewers and apt to destroy your average toy! Made out of tough, durable Nylon and available in a wide selection of designs, shapes and sizes. Many of these teething toys have multiple textures with nubs and raised areas which puppies love, and lots have tasty flavor built right in as well. These puppy teething toys live up to their name! 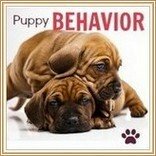 They're sturdy, interactive treat dispenser toys which keep active puppies happy and busy. Made from natural rubber, thermoplastic or nylon, each design has it's own innovative way of combining chewing fun with tasty treats of all shapes and sizes. Duratoy teething toys combine different textures and materials with fun, interactive features - this makes them great entertainment for active puppies. This range of attractive toys include designs made partly from soft fabrics (cotton or fleece) and partly from rubber or thermoplastic polymers. Sturdy cotton rope also features in many others. These are just SOME of the great Nylabone toys that your teething puppy will love! Each toy above comes in a number of different sizes. Treats are available to fit perfectly into the treat dispenser toys too.